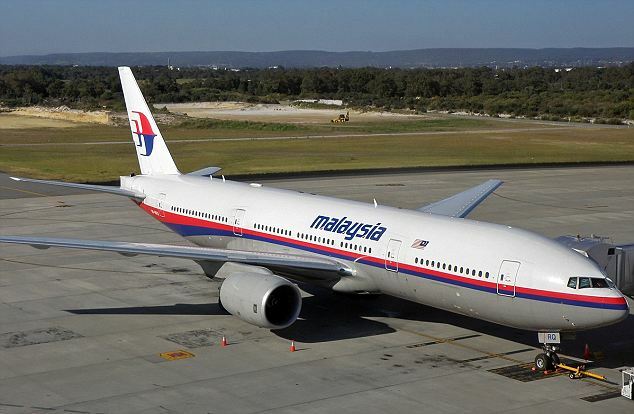 KUALA LUMPUR: A Malaysia Airlines flight carrying 227 passengers and 12 crew from Kuala Lumpur to Beijing went missing over the South China Sea on Saturday. Later, it was reported by the state media quoting from Vietnamese navy officer that the flight is crashed into the sea 153 miles off the coast of Vietnam’s Tho Chu island on Saturday. “At the moment there are no Vietnamese navy boats in that area so we have to ask boats from Phu Quoc island to be prepared for rescue,” Admiral Ngo Van Phat told the website of Tuoi Tre news. Tho Chu and Phu Quoc lie to the southwest of southern Vietnam. The admiral could not be reached by telephone. It was not immediately clear how he knew where the plane had crashed or whether wreckage had been spotted. The plane last had contact with air traffic controllers 120 nautical miles off the east coast of the Malaysian town of Kota Bharu, the airline said. The airline, speaking several hours after the plane had been due to land in the Chinese capital, said it was still too early to say whether the aircraft had crashed. It said there had been no distress signal and it cited early speculation that the plane may have landed in Nanming in southern China. As news of the disappearance filtered through to distraught friends and relatives who had been waiting for the flight to arrive in Beijing, Malaysia Airlines said it was still investigating and took no questions at a brief news conference. Flight MH370, operating a Boeing 777-200ER aircraft, last had contact with air traffic controllers 120 nautical miles off the east coast of the Malaysian town of Kota Bharu. Malaysia and Vietnam were conducting a joint search and rescue, he said but gave no details. China has also sent two maritime rescue ships to the South China Sea to help in any rescue, state television said on one of its microblogs.